Bali Kratom is one of the more popular strains of the Kratom leaf sold online today. This strain is distinguished as having relatively dark leaves with a highly sedating effect and strong analgesic properties. When used at lower doses, it is said to provide a significant increase in energy levels and to be fairly fast acting. Most people believe it gets the name Bali Kratom for being grown in the Indonesian island province of Bali. It is likely that the strain was originally derived from trees native to Bali. However, according to certain sources, nowadays this type of Kratom is actually cultivated in Borneo. It gets the identifier of Bali because it has typically been shipped to the Western world via shipping ports located in Bali. In the past, it was more common for different strains of Mitragyna Speciosa to be closely associated with their native growing region. But as international Kratom trade has grown, these original denotations have lost their initial meaning. 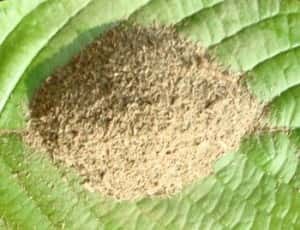 Bali Kratom may be grown in many other locations such as Borneo and other parts of Indonesia, but what remains the same everywhere is the unique makeup of alkaloids that distinguish each strain. Different species of the Kratom tree will contain different active ingredients in different ratios and combinations. Bali Kratom is said to contain as much as 25 different alkaloids including the indoles mitragynine, paynanthine and speciogynine as well as the oxindoles mitraphylline and speciofoline. Some of these alkaloids are present across different strains while others may be unique to Bali. 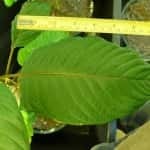 It is important to remember that not every Bali Kratom tree that is grown will have the same chemical make-up and there is no standardization of alkaloid content in the leaves. That being said, the estimated alkaloid content for the leaves of this species is around 0.5% by volume. In general, Bali is believed to be one of the faster acting strains but it also has a shorter half-life. 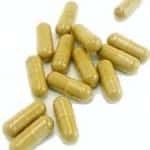 The effects of this type of Kratom are sometimes noticeable within as little as 15 – 30 minutes, peak after one hour and then gradually subside until after four hours they are no longer noticeable. This duration of effects can be affected by a number of external factors such as individual biochemistry, metabolism, body weight, and the presence of other foods or chemicals in your system. Some individuals say that within one to two hours of consumption, they no longer feel the effects of the Bali variety. For individuals who want to use Premium Bali as a coffee-like stimulant, the suggested dosage is 1/3 of your normal amount. You may want to start with 2 grams up to a maximum of 4 grams if using as a stimulant. There is quite a fine line between the stimulating dose and the sedating dose; some Bali reviews say that they can feel highly energized one minute and then find themselves needing a nap a few minutes later. Another important point to note is that the Bali strain also is associated with greater propensity for experiencing nausea. This side effect is typically seen at higher doses, so you should start with a smaller amount first to gauge its effects. If you ask experienced users of this herb, many will tell you that Bali Kratom is one of the best strains for beginners to try. It is viewed as well-balanced, powerful with a reasonable price and it provides a good introduction to the effects of this plant in general. 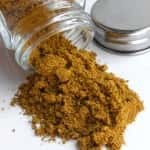 Bali Kratom happens to be one of the most widely sold varieties available today and you should not have any problems locating it from your favorite online vendor. It is often labelled as Premium Bali or Commercial Bali with the premium products tending to have slightly higher potency. Unfortunately, the Kratom market is such that there is a lot of quality variation among different wholesalers and retailers. 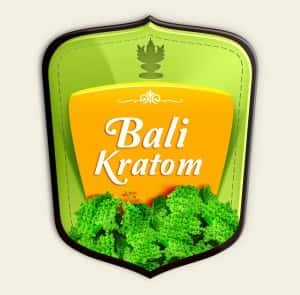 Due to the lack of standardization, the Bali Premium Kratom you purchase from one vendor might have a very different alkaloid content as compared to another vendor. 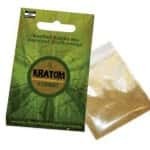 You can buy this strain of Kratom for approximately $15 per ounce in powdered form or $20 per ounce in capsules or pills.